Home » Banned Fishing Gears , Law on fishers , NAFSO , Supreme court case » The Supreme Court ordered to enforce law on banned fishing gears….. 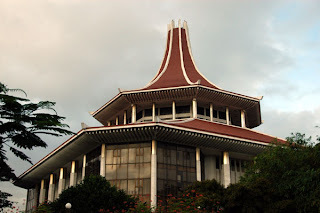 The Supreme Court ordered to enforce law on banned fishing gears…..
A judgment was given by the three benched of judges in Colombo Supreme Court today ordering to enforce the prevailing law on banned fishing gears from the gazette issued in 2003 according to the act of 1996 no: 02. This case filed by the National Fisheries Solidarity Movement joining in 2009.01.20 with small scale fishers who represent the Southern Fisheries Organization Galle and the case was handled by Mr. Kalyananda Thiranagama on behalf of the prosecution fisher people’s movement. This case had been examined twice and this is the last time of examination done by the three benched judges at Supreme Court complex today. This is a huge victory of small scale fishermen according to SFO coordinator Galle. Mr. Gnanadasa.